Northern Bass is three days and nights of New Year celebrations. 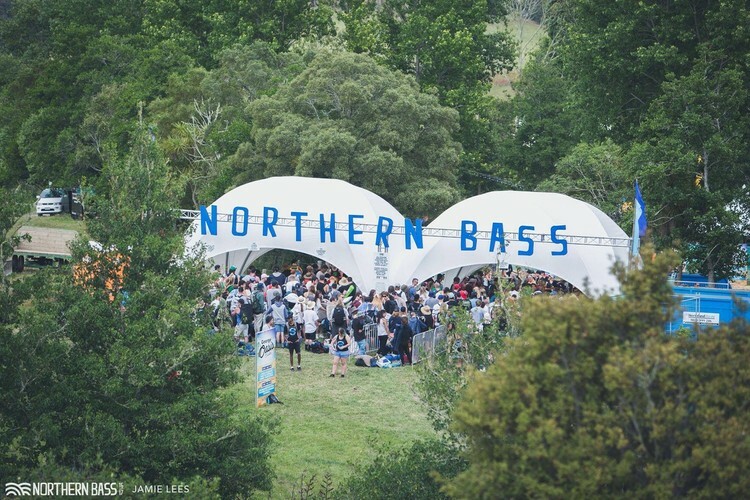 Situated just over an hour north of Auckland in Mangawhai, Northern Bass brings together a world-class selection of musicians, DJs and producers to provide the perfect soundtrack for bringing in the New Year. The ultimate way to enjoy the Northern Bass experience is by camping onsite in our campground, but you can also stay at one of the many baches or campsites in the Mangawhai/Kaiwaka area. If you are camping onsite, you will need to purchase a Camping pass. If you are not staying onsite you can get to and from Northern Bass using our dedicated bus service running from Auckland, Mangawhai, Mangawhai heads, Matakana, Waipu, Ruakaka, Warkworth, Wellsford, Uretiti and Langs beach. Everything you need for your three-day stay is catered for at the festival. From multiple bars and a selection of awesome food outlets to the camp store, hot showers and the new powder room. For more detailed information on tickets please see the Northern Bass official website.